Compression Performance Recovery (CPR) garments assist with postural support and provide applied targeted and controlled pressure to muscles. This assists in preventing the buildup of lactic acid and in turn reducing muscle fatigue and delayed onset of muscle soreness (DOMS) post exercise. By wearing compression garments, an athlete can reduce muscle fatigue and DOMS (Delayed onset of muscle soreness), thus improving performances over time. By applying targeted and controlled pressure to your muscles, CPR garments prevent the build-up of lactic acid in your body, as the pressure forces blood back to your heart, further flushing out lactic acid build-up. 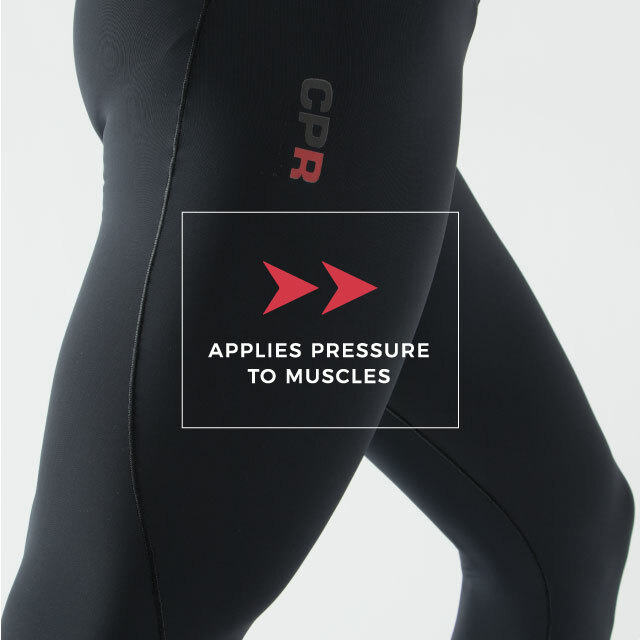 CPR garments also brace the muscle damage and micro tears, and studies have shown reduced muscle damage when compression garments are worn during as well as after exercise. Ideal for multi-day events, heavy training sessions and long-haul travelling, CPR garments aid with recovery times and preventing muscle.